The Norwin School District is once again hosting Camp Invention this summer. 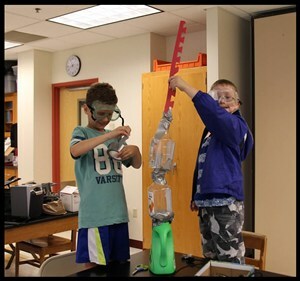 Camp Invention is designed for students entering grades 1-8 and will take place June 3-7, 2019 from 9:00 a.m. – 3:30 p.m. daily at Norwin Middle School. The cost is $230 per student and all sessions will be taught by Norwin teachers. 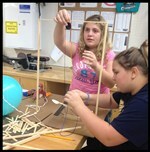 Follow this link to register for Camp Invention https://www.invent.org/programs/camp-invention. The Norwin School District is also excited to announce the offering of 17 Summer STEM Camps, including two new camps and camps with evening hours! A copy of the full listing of camps is below -- Summer Camps 2019 Flyer Information. Registration for Summer STEM Camps will open on Monday, April 15, 2019. To register beginning on April 15, please follow this link https://forms.gle/YAg6SnY52KVnyYne9. Registration to non-District residents will open on Monday, May 6, 2019 and all registration will remain open until Wednesday, May 15, 2019. The Norwin Alumni and Friends Association (NAFA) is sponsoring two camp scholarships to Norwin students this year. Please visit the NAFA website at https://nsdcf.org/programs/summer-camp for information about camp scholarships. The Rev-Trak system will be used for payment of all camps. In order to be registered for the camp, you must complete both the registration and payment process. Please contact Kathy Herchko kherchko@norwinsd.org with any camp-related questions.